Exclusive! Amp up your décor with this unique Fibre Optic Flower Bouquet that is sure to be a conversation starter. 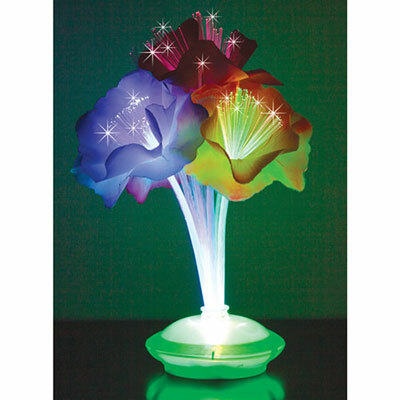 Five dramatic silk blooms in a variety of colors are accented by an array of fibre optic lights. Stems also light up with fibre optic color. On/off switch located on base. Requires 3 AA batteries (not included). Imported. 11"h.